Easy to set up on your windshield or set on the dashboard, dual cameras record both outside the vehicle and inside. Aside from catching everything you drive by, can also be used as a car security device. Who's messing with your car at night? Mini DVR High Definition Car Dash Cam - Although it is not a hidden camera, this affordable car cam with built-in Mini DVR works great as an Accident Recorder, Evidence Collector, and Criminal Catching Device. Suitable for recording any type of action, monitoring various events, outdoor and scenic photography. The list goes on. This may also come in handy for "evidence collection" photographing, and car surveillance. Great for PI work. Even when the car is parked in the driveway, and you want to find out which kids are throwing empty soda cans in your yard on the way home from school, this beauty will come in handy. Surveillance Cameras are not just purely used for crime prevention and this one can be practical for many situations. The super high definition 1080P Dash Camera, built in DVR, and 2.31 inch LCD screen is super easy to operate one touch recording with crisp clear recording quality. It doesn’t help when you have a camera that can see what is going on but records with a grainy and blurry image. The vehicle camera has a high performance HD chip so the video and picture quality are very clear. The dash camera has 170 degree viewing angle and can be operated by the internal battery which will last about 2 days on parking mode. Parking mode is a feature that looks after your car while you are away. When you are away from your car and your car is hit or moved the camera will start to automatically record for 30 seconds. It takes about 3 hours to fully charge. You can plug the unit into the cigarette lighter to charge the battery and use while the car is running. When the camera is plugged into the cigarette lighter in the car when the engine starts the camera will automatically turn on and start recording. The HD dash camera DVR has the ability to record over old footage or stop recording when SD card is full. The DVR comes with a 32GB SD card which will record over 6 hours video footage in H.264 format using dual camera feature. The suction cup mount makes it easy to mount he front facing camera. The rear camera has a peel n stick mount to mount where you need it on the back of your vehicle. It comes with a USB cable so you can easily download the footage to your computer for viewing and storing video footage. It also has a mini HDMI out for viewing on an HDMI TV. 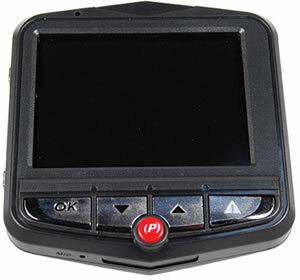 The 2.731 inch LCD screen allows you to make menu adjustments, playback, and see what the camera is seeing. Why Get a Dashboard Cam? A dashboard cam is a very useful tool for any motorist to have. They have been popular in Eastern Europe for a long time, but have only recently started to take off in other parts of the world. Now, people in the US and Europe use them as well - for personal entertainment value to record everything they see when they are on road trips, and for insurance purposes as well. In fact, there are some insurance companies that will offer discounts to people who use video recording devices. The logic behind this is that the footage can be used to prove who was at fault in the event of an accident, and therefore you are more likely to be a responsible driver if you are behind the wheel of a vehicle with one of these installed. The above device constantly record footage in real time speed. Others will be constantly active, saving a short amount of time (around 30 seconds or so), and overwriting that if nothing happens. If you suddenly swerve or decelerate, or if you hit a button to say that you want to preserve some footage, then that section of footage will be saved locally, or uploaded to a cloud server where it can be stored, retrieved, and shared. The footage is time stamped (and often location stamped as well), and in the event of footage saved to a cloud server it can usually be proven that the footage has not been tampered with - so the police may be willing to accept it as evidence that you were not at fault in the event of an accident. Do You Need a Car Camcorder? Getting a dash cam can be a deterrent against criminals damaging your car, and it can help to save you money on your car insurance. It offers you peace of mind that if something happens on the roads, you will be able to prove what went wrong and show that you were driving responsibly. Nervous drivers often like having a one for that reason. Young drivers may appreciate the insurance benefits, because they are in an otherwise 'high risk' group, and anything that they can do to cut their insurance costs is worthwhile. Of course, this won't make your driving any better by itself - it is just a camera after all. But it does seem to help people get into the mindset of being a defensive driver, and that alone is something that is highly beneficial. You don't have to spend a lot of money on them either. There are many dash cams on the market today that are less than $150 but have sufficiently high quality recording capabilities to make them worth using for recording during the day. If you regularly drive at night or in low visibility conditions then a better car camera might be useful because it will produce footage that is clearer. Tourists, also, might appreciate a HD Camera that can record longer snippets of footage or even offer a continuous record of their holiday.